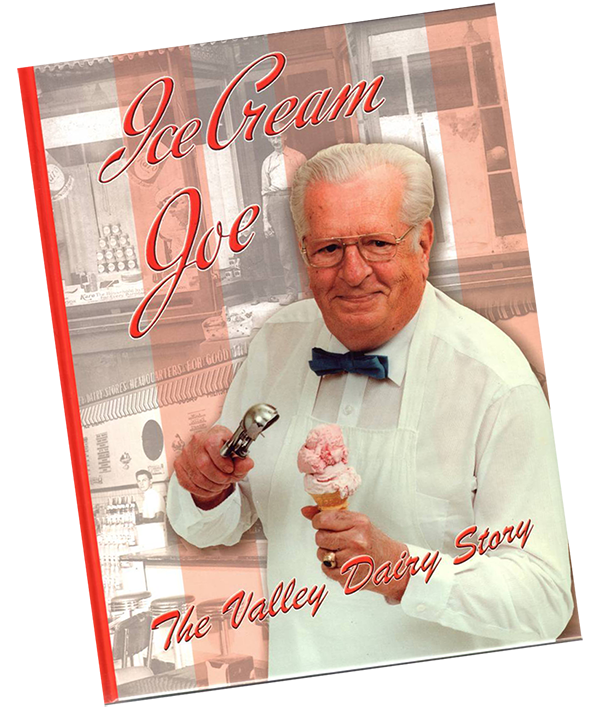 This 8 1/2” x 11” hard bound book features over 200 pages filled with hundreds of illustrations covering the early years of Valley Dairy and Ice Cream Joe. Book costs is $29.95, plus $1.80 tax (for a total of $31.75). Shipping is FREE! Book costs is $29.95, plus $1.80 tax (for a total of $31.75). Shipping is FREE!